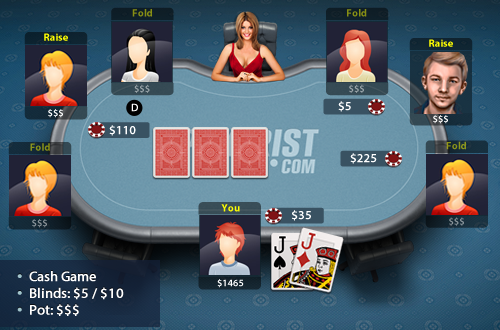 You’re playing a $5/$10 7 handed no limit cash game with $1500 at the table. This is your first hand at the table and you get dealt JJ. You open from UTG +1 to $35 and get 3 bet to $110, the big blind then 4 bets to$225.